Most people want to make a difference. They want their lives to count for eternity. They want to leave their mark on the earth. If they are thinking big, they want a legacy. Jesus promised the Holy Spirit to enable God’s people to join in His purposes. The Spirit empowers people to make a difference, a legacy, a mark. In John 15, Jesus makes very clear that the key to eternal value in our lives consists in remaining connected to God. In this post, I will assume that you are connected to God! In addition to that, what are some strategic ways to join God so that our lives in turn make a difference on earth? Again, there are numerous ways, but I want to focus on three that I believe are critical. 1. Understand and embrace God’s mission. I think we the Church must understand God’s mission reaches across the street and to the farthest reaches of the globe. His mission should not find its boundaries within church building walls. God wants our minds to understand His mission and to then embrace his mission as our very own! I think I will marvel forever (like for eternity) at God’s desire and plan to complete His work on earth through humanity. It’s insanely amazing. God commissions the Church to work with him in completing the mission of God. God’s mission simply stated is to heal, reconcile and restore creation. 2. Accept your message and ministry. We are God’s ambassadors. We represent the Kingdom of God. God literally makes his appeal to the lost and broken through us! Do you notice how Paul does not begin this teaching with, “Now this special ministry is just for those who feel called to ministry”? No! Paul realizes that all people called to salvation are called to ministry! You have been called to embrace God’s mission of reconciliation. God calls you to represent Jesus on earth. When people see your life, your decisions, words, and actions, should point them to Jesus. Recognize and receive that God has given you both a message and a ministry of reconciliation. In one verse (2 Corinthians 5:18) Paul tells us that God reconciles us and then gives us a ministry. None of us receives God’s gift in order to “just sit on it” until eternity arrives. Once we are blessed and gifted, we are given the incredible responsibility to share it with others! 3. 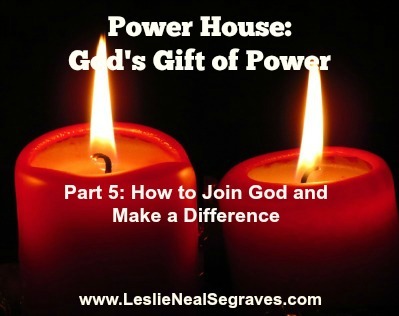 Allow God to be the power source behind your gifts. God is so good, and he does not leave us alone to do an impossible job. Rather, he equips us to do this noble task through the presence of the Holy Spirit. The Holy Spirit empowers believing men and women, young and old, East and West, people of all races and tribes with spiritual gifts to fulfill his mission. The Church receives power and life through the Holy Spirit. The Church has debated how these gifts can be used and who can use them. However, the New Testament offers three main lists of spiritual gifts (1 Cor. 14, Rom. 12, and Eph. 4) and in no list does Paul state or insinuate that gifts are given based on external features. The Spirit of God gives gifts based on God’s abundant grace, not on human merit or natural ability, not on hair color, fingernail length, skin pigment, or any another physical characteristic. Therefore, the Spirit of God who looks on the hearts of people, gifts his Church as He chooses. Divine empowerment and distribution is God’s choice. Our responsibility lies in using what He distributes to us. The intent of each of the spiritual gift lists is to show God as the power source behind the gift. These gifts are given to enable the whole Church to fulfill God’s mission on earth. When we as the Church understand and embrace God’s mission, accept our message and ministry of reconciliation, and allow God’s power to energize our spiritual gifts, our lives will truly make a difference. A lack of any one of these three decreases our effectiveness on earth and ultimately our legacies for eternity. God’s power, the same power that raised Jesus from the dead, resides in you! Join the Conversation: Have you always realized that as a believer you are called to the noble task of completing God’s mission on earth? What made you/helped you understand this? How did your life change as a result?